Patient Care Tech Training Pasco County: Where Can a Patient Care Technician Work? If you are thinking about becoming a patient care technician (PCT) and are looking for local PCT programs, or you are getting close to completing your training, then you may be wondering where you can work once you are out of school. One of the best parts about becoming a PCT is the many options you have when it comes to finding the right workplace, and the classroom instruction and hands-on training you receive from the PCT courses at Pasco Medical Training will prepare you to work in virtually any setting. Check out a few ideal workplaces for PCTs below, then contact your Top Rated Local® medical training center to learn more about our PCT programs! The need for PCTs in nursing homes and other long-term care facilities is expected to increase as much as 11 percent before 2026. As a PCT in a nursing home, you will work under the direct supervision of a nurse and assist patients with grooming, dressing, and bathroom needs. You will monitor the patient to record any changes in their abilities or behavior, and report these changes to the nurse. Additionally, you may help transport patients around the facility and perform light housekeeping duties. Aside from nursing homes, hospitals are the second most common place for PCTs to work. 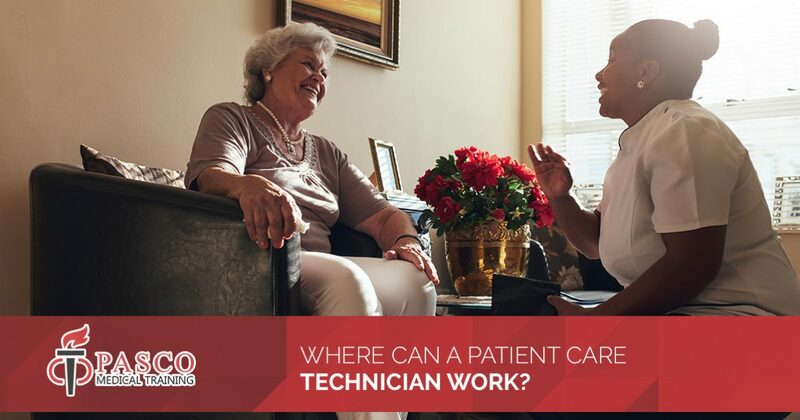 In fact, nearly 26 percent of all PCTs work in hospitals, and some prefer this workplace to others because of the additional administrative and medical responsibilities that come with working in a medical center. Here, you may work under the supervision of a doctor or a nurse as you do everything from perform patient intake procedures and stocking medical supplies to helping patients dress and groom themselves. There is also the opportunity to work in areas like the NICU, the cancer ward, and other specialty departments. If you prefer to set your own schedule and work one-on-one with patients in the comfort of their own home, then becoming an in-home PCT may be right up your alley. 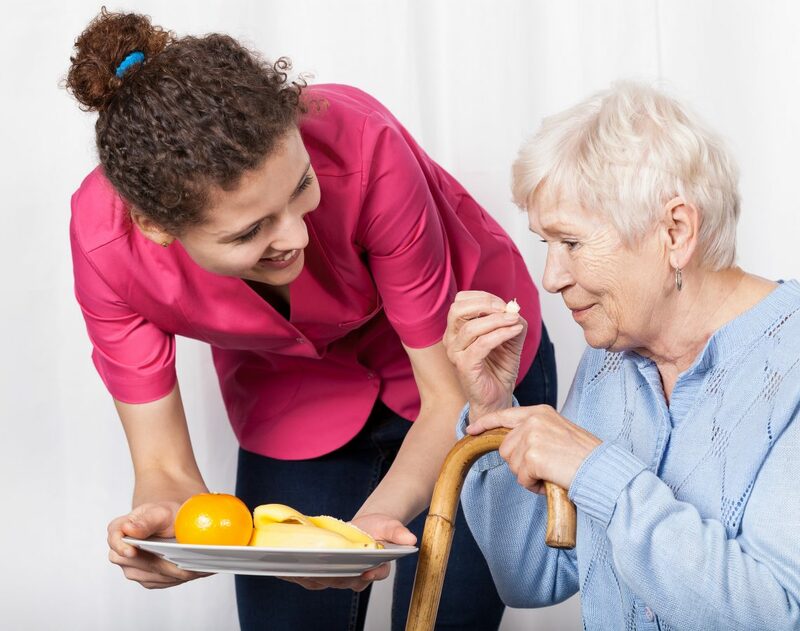 PCTs who work in the home health care industry assist patients who are elderly or disabled, or those who cannot perform their normal activities of daily living (ADLs) without assistance. In addition to helping patients complete ADLs such as bathing, dressing, and eating, you may help patients prepare meals, pay bills, and complete other household tasks. Searching for Reputable PCT Programs? If you are searching for affordable and reputable PCT programs in Pasco County, look no further than Pasco Medical Training. Our courses are designed to ensure quick completion without compromising on quality to prepare you for a successful career in the health care industry. Detailed classroom instruction and hands-on training ensure that you have a complete understanding of all material covered and that you are comfortable practicing routine PCT tasks. Searching for your dream career? You could be just four short months away from a rewarding career in health care! Enroll in our PCT courses online now, or call us at 727-597-4403 to request more information!